If it's true that sheep follow each other, it's safe to predict the sheepskin trend is only just beginning. The international catwalks have provided plenty of fresh directions in which to take tomorrow's natural fleece. 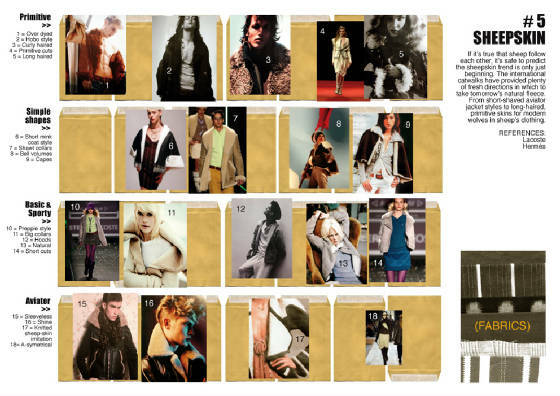 From short-shaved aviator jacket styles to long-haired, primitive skins for modern wolves in sheep's clothing.